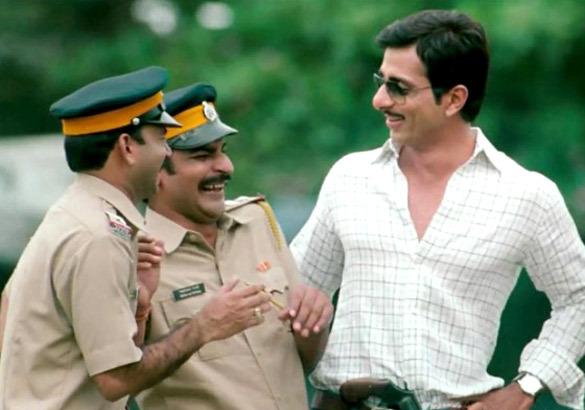 A large number of movies with the protagonist as a cop have made it to the Hindi screen. A few remain etched in your memory to this day. 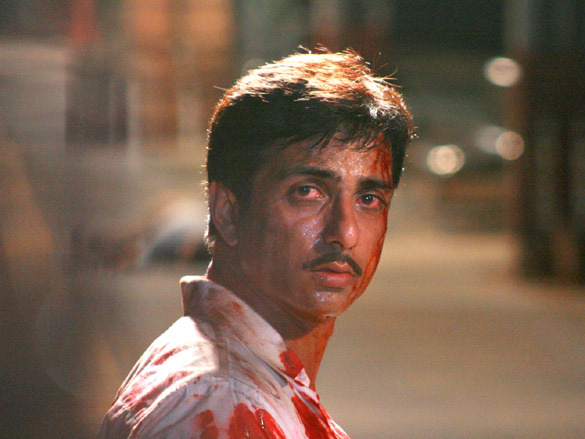 Besides, many straight-out-of-life incidents are gradually finding their way on the big screen, which clearly indicates Hindi cinema's gradual move towards realistic films. Set in Mumbai in early 2000, MAXIMUM, helmed by Kabeer Kaushik, focuses on two cops and their journey and struggle for power. The difference between MAXIMUM and an assortment of movies that have focused on cops earlier is that this one talks of the power games that two encounter specialists indulge in. A novel thought, without an iota of doubt, but MAXIMUM suffers for a valid reason: A skeletal plot that lacks meat in its screenplay. Kabeer may've borrowed from real-life, but he isn't able to bind the incidents and episodes convincingly so as to deliver an enthralling fictional fare. Mumbai 2003. The battle against the gangland had been affirmed. And the mandate to gun them down was given to a selected few. 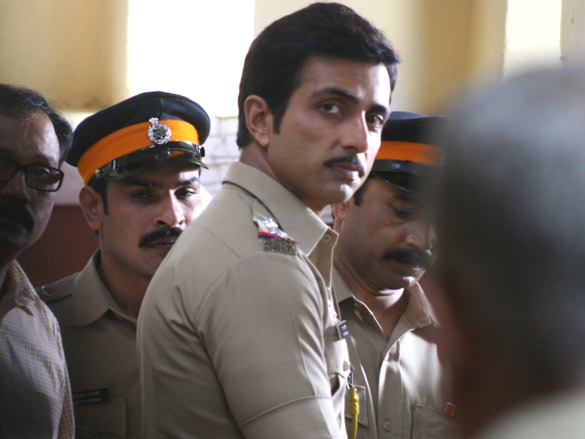 One of them was Pratap Pandit [Sonu Sood]. The other, Arun Inaamdar [Naseeruddin Shah]. Two encounter specialists. Each with a strong informer base. Sharp strategy. And a long tally of dead gangsters. The struggle was always for control. 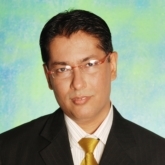 If Pandit was ambitious, Inaamdar conniving and silent. Both equally ruthless. But they were not alone in this game. There were other players. Taking the drama through a complex interplay of politics. Land deals. Farzi shoot-outs. And money. Dirty money. A story that moves through five long years, ending on a railway platform. In the dark of the night. Between the shudder of running trains. Surrounded by the echo of gunshots. MAXIMUM is basically about an encounter specialist and the highs and lows in his life. 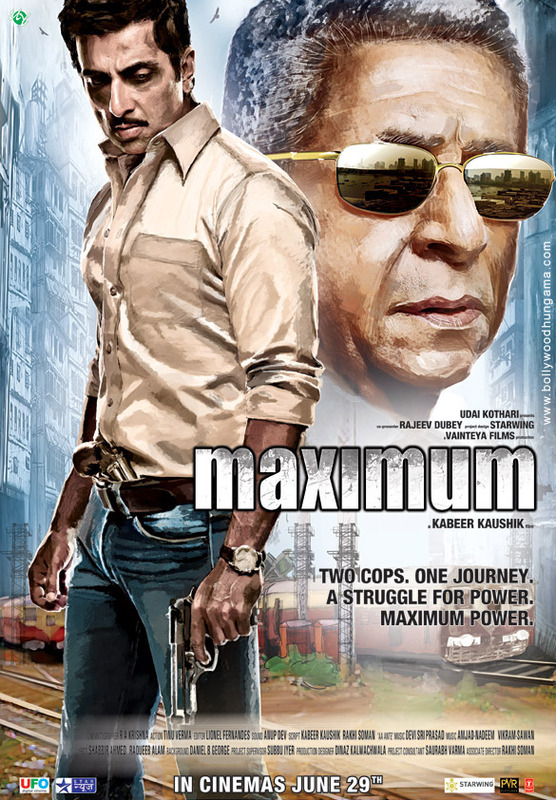 Not the usual, beaten to death cop story, MAXIMUM could've been a riveting fare that would enlighten and entertain. But, like I pointed out earlier, there's not much that the film offers on the table, after you're told about the two warring factions. There are sequences that seem repetitive or an extension of what one has watched earlier, besides moments that seem so hard to absorb in a realistic fare. The climax, for instance, though filmed brilliantly, looks unreal as the two cops battle it out on a secluded railway platform. Besides, the film unravels at a languid speed, which is quite a deterrent for a thriller. Having said that, I'd like to add that Kabeer's execution of several dramatic and anxiety-packed moments merit acknowledgement. A few individualistic sequences do seize your attention. But the screenplay, which touches upon politicians, encounter specialists, gangland and crime reporters, is far from invigorating. Besides, the conflict between the two encounter specialists, which should've been the hallmark of the enterprise, is subdued. There's not much scope for songs in the film either, though 'Aa Ante', which is already popular, catches your eye. 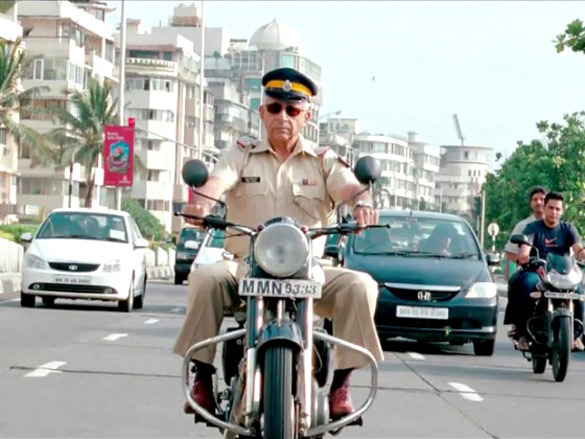 Sonu Sood and Naseeruddin Shah enact the part of encounter cops who are out to eradicate the gangsters. Sonu is striking and influences us that he can carry off intricate characters with elan. He excels in this part! 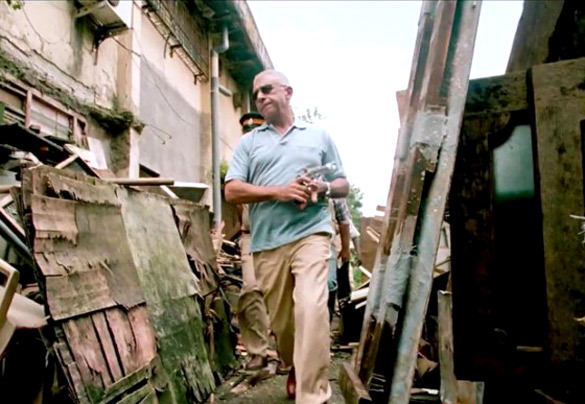 When it comes to acting, Naseer is enormously luminous. But you realize that his potential isn't tapped to the fullest here. In fact, he's relegated to the backseat. Neha Dhupia is a revelation. She looks the character and gives an upright account of herself. Vinay Pathak is supremely effective, moving away from his by-now-famous comic roles effortlessly. Mohan Agashe is competent, as always. Amit Sadh is another fine talent. He's first-rate. Ditto for Ujjwal Chopra and Swanand Kirkire, who grab your attention with confident portrayals. Aarya Babbar, Rajendra Gupta and Anjana Sukhani are decent in their respective parts. Hazel wows you with her voluptuous switch in the item number, 'Aa Ante'. On the whole, MAXIMUM has an attention-grabbing premise, but lacks the meat in its screenplay to leave much of an impact.